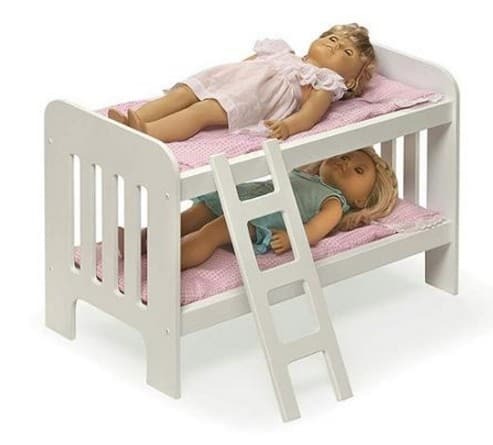 The Badger Basket Doll Bunk Beds with Ladder is on sale for $19.99 at Walmart.com right now. That's 33% off the regular price of $29.22! Measures: 11.5″W x 22.25″L x 15″H. Warning: choking hazard – small parts. Not for children under three years old.